The idea is to address the lack of medical attention arising from the shortage of doctors, especially in rural areas. New Delhi: A new army of nurses with additional training may soon be allowed to prescribe medicines. The ministry of health and family welfare has introduced an amendment in the National Medical Commission (NMC) Bill, a wide-ranging legislation for reform in medicine, to allow nurse practitioners to do this. Nurse practitioners, a key part of hospital staff in several developed countries, are nurses with additional educational qualification and the permission to function in an extended medical role. The government has been trying to raise a cadre of non-MBBS medical professionals in certain fields to address the lack of medical attention arising from the shortage of doctors, especially in rural areas. The amendment has been cleared by the union Cabinet. According to the bill, the nurse practitioners may also be allowed to perform some surgical or critical procedures under the supervision of senior doctors, and in certain circumstances. “To fulfil the delivery of healthcare services in rural areas and share the workload of senior doctors, we have decided to allow nursing practitioners to prescribe and practise modern medicine,” Jayshree Mehta, president of the Medical Council of India, told ThePrint. “The nursing practitioners with specialisations such as tertiary nursing and ICU care, cardiac problems and pharmacy, and physician assistants, optometrists are eligible for the upgradation,” she added. The move comes a month after the government junked a controversial amendment seeking to introduce a bridge course that would have allowed Ayush (Ayurveda, Yoga, Unani, Siddha and Homoeopathy) practitioners to practice allopathic medicine to a “limited extent”. A senior official in the ministry said the amended bill will be presented in the next session of Parliament. According to the ministry official, the move was inspired by the practice in China to train mid-level healthcare practitioners. “They (the government) took a delegation to China to study the details of the programme,” said the official, who was a part of the delegation. According to the World Health Organisation, the doctor-population ratio should ideally be 1:1,000, that is, one doctor for every 1,000 people. In India, the doctor-patient ratio for allopathy, or modern medicine, is 1:1,596. According to the MCI, 10.2 lakh doctors are registered with its state branches. 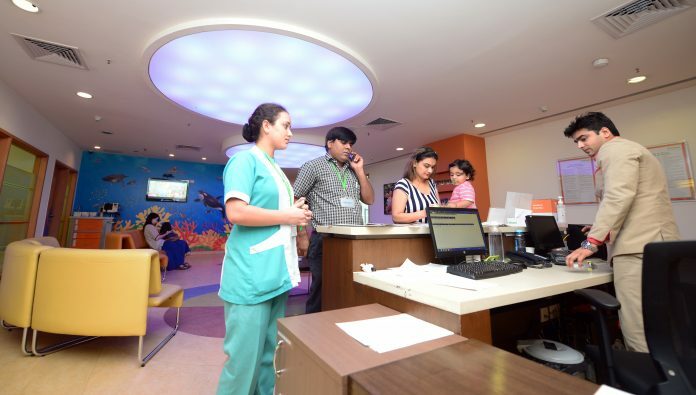 However, according to the government, assuming 80 per cent availability, only about 8.2 lakh doctors are in active service to serve a population of over 1.3 billion Indians.